Shares in the Hong Kong-listed health unit of property developer Evergrande Group soared 66 percent to HK$7.67(98 U.S. cents) a share on Tuesday, a day after it said it would buy a 45 percent stake in United States-based luxury electric carmaker Faraday Future. Evergrande Health Industry Group Ltd, a unit of Evergrande Group, acquired the Faraday stake for $860 million through its purchase of Hong Kong's Season Smart Ltd, it said in a filing on Monday. The deal will also make it the biggest shareholder in Faraday Future. The struggling Faraday Future, set up by beleaguered LeEco founder Jia Yueting, had said on Monday that it received approval from the U.S. Committee on Foreign Investment for a US$2 billion capital infusion from Season Smart, as part of a stake deal last year. Jia will officially take the role of global CEO at Faraday. Industry experts said Evergrande's move is in line with the nation' efforts to further develop the real economy and the new energy sector. James Yan, research director at Counterpoint, said with China gradually reducing support and investment to the real estate industry, more property developers are expanding their business to various fields in the real economy. "The automobile sector is of huge investment value and it is one of the most enthusiastic industries for smart manufacturing," Yan added. 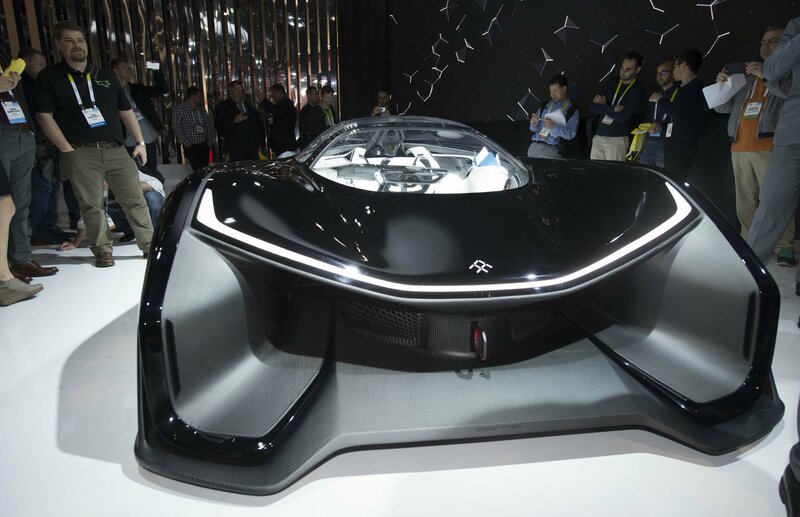 "Faraday Future has already accumulated related technologies and global talent. The investment will inject new momentum to the company's development." Shen Meng, director of boutique investment bank Chanson & Co, said the new investment will be the most effective way for Evergrande to enter the new energy vehicles sector, drawing the eye of the whole of society. "For now the deal works for both sides. However, it is unclear whether the company will be able to mass produce the cars in the future," Shen added. Faraday Future said it would use the funds to finalize the development and deliver the first production vehicle to both China and the U.S. markets. The investment will help to support the company to expand its production pipeline, develop key technologies and grow its global business.